After last week’s post about the website with the large volume of ads that would have normally been eliminated by my ad-blockers, I got some inquiries asking what software I use to avoid seeing any website advertisements. To stop seeing all the annoying ads. Of course, this is the big reason most people decide to use an ad-blocker. Many ads are disruptive, and are designed specifically to be that way. After all, if the ad just blended nicely into the background, no one would notice it, right? Apparently the obnoxious ads are the most effective. So lots of people love having something that will squash those stupid things into oblivion. To allow web pages to load more quickly. 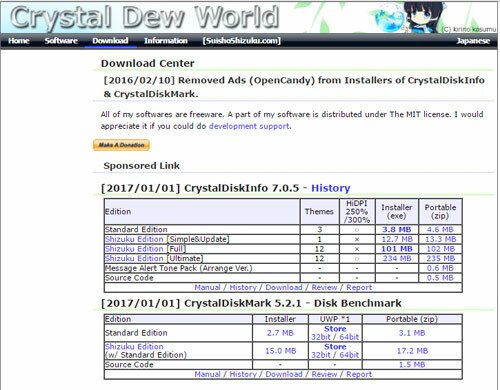 For some websites, much of the content are the advertisement images. If a web page has 10 ads, that means those 10 things have to load before you can view the entire page. Why wait for something to load, when it’s something you don’t even want to see in the first place? Ads that are blocked don’t load, so the web page finishes loading more quickly. To browse websites more safely. This is one that most people don’t even think about, but it might be the most important factor. Even when you visit a well-known, legitimate website, there could be an ad on that site that is malicious. Your computer could get infected by that ad – even if you don’t click on the ad itself. If the ad is blocked, the infection is also blocked (most likely). To handle all of these issues, I use a popular ad-blocker called uBlock Origin. It’s free. I use it in conjunction with both Firefox and Chrome, since those are the two browsers I use most often (mostly Chrome). 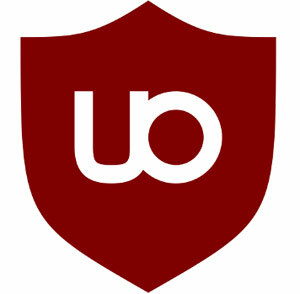 uBlock Origin works as a browser extension. Then click on “Add to Firefox” then click on “Install”. You’ll get the notification that it has been added to Firefox. Then click on “Add to Chrome” and confirm that you want to add it as an extension. You’ll get a notification that it has been added to Chrome. If you use the Microsoft Edge browser you can also get the uBlock Origin app from the Microsoft Store. I don’t like Edge at all and therefore don’t use it, so I can’t really comment first hand on how well uBlock Origin works with it. Really makes the website more user-friendly and easier to look at without all the junk ads cluttering up the page, don’t you think? Originally, I was using an ad-blocker called AdBlock Plus. It works okay, but the default settings don’t block ALL the ads on each website. AdBlock Plus is configured initially to allow ads to be displayed if they aren’t seen as “annoying”. So if you want to actually block all the ads, you have to go in and change the settings to tell it to do that. Since I set up ad-blocking on multiple computers each day, I got tired of doing that. uBlock Origin works great right out of the box. No ad-blocker is 100% effective so even with uBlock Origin running you might see the occasional ad. But if you really want to see the difference, use it for a while and then go use a friend’s computer to view a few websites like MSN or Yahoo. You’ll wonder how you ever put up with that garbage for so long! No need to use a friends computer to view some web sites with a lot of ads. Just click on the uBlock Origin icon in the toolbar. Then click anywhere in the circular symbol that appears and it will be disabled. Click again to re-enable it. Also, there are 4 symbols at the bottom of the uBlock Origin window that allow selectively modifying UBOs behavior for the current site. I like UBO also and use it in conjunction with Ghostery. I enjoy your newsletter and always learn something. Yes, I do use those controls sometimes too. Now I need to check out Ghostery. Thanks! As usual, thanks for your great info, Scott. I followed your advice on ublock origin the last time you wrote about it but I subsequently disabled it in Chrome because I’m pretty sure it was links in the “Eatthisnotthat.com” newsletter that wouldn’t work. As soon as I disabled uBLock, I could clicking on their links. There might be a way to tell uBLock which ones are “safe” but I haven’t made the effort to learn about it. Yes, you can definitely enable it or disable it on a “per site” basis. awesome thats one i use to. and like ublock tried others before,.ublock i love.